Whether you adore it or lament it, Valentine’s Day has once again rolled around. Shop windows are being decorated with red love hearts as we speak, and the number of adorably cheesy poems in the world is set to skyrocket in the coming days. We all know the go-to gifts are chocolates and roses, they are tried and true, after all, and feature in plenty a good rom-com, but here at Dhall & Nash we are thinking of switching it up just a bit… what if the roses that we’ve come to know and love, were drinkable? What if they weren’t roses as such, but rosés?! 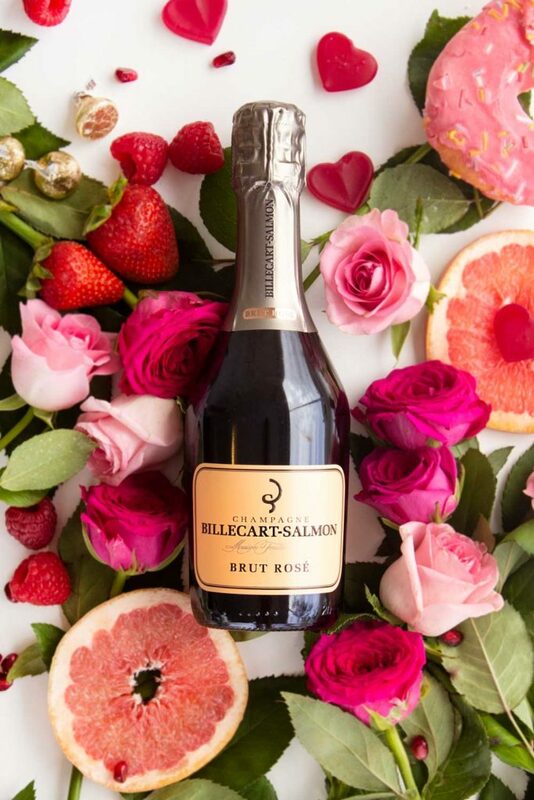 If ever a brand has embodied the spirit of love, it is Maison Billecart-Salmon. More than two centuries ago, in 1818, Nicolas Francois Billecart and Elisabeth Salmon met, fell deeply in love and soon were married. As a wedding gift, they were given a plot of land in the heart of Champagne – the Le Clos St. Hilaire – from which grew the Billecart-Salmon Champagne House that we know and love today. Billecart-Salmon is today most recognised for its phenomenal signature Champagne Rosé style, of which the family’s vinification secrets are closely guarded. Its pale and bright pink colour is adorned with warm glints of gold. The aroma is delicate and the palate even more so – with just a hint of raspberry on the finish. The perfect accompaniment to a Valentine’s evening. 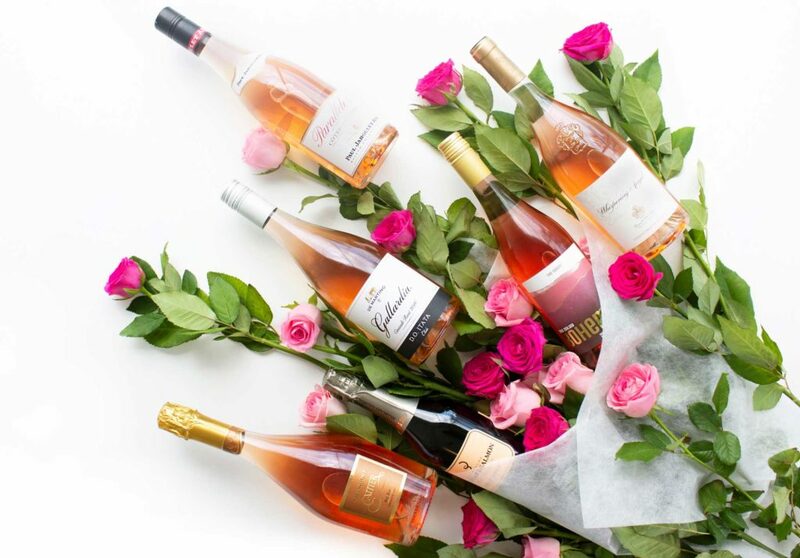 Whispering Angel rosé has a (deserved) reputation as being the world’s best rosé, so how better than to woo your loved one by offering only the best for the best? And bonus – it is simply not possible to have the name ‘Whispering Angel’ flow off the tongue without evoking some romantic spark deep within. Made by the King of Provencal Rosé himself, Sacha Lichine, this pale pink tipple truly does feel as though it’s come straight from the heavens of which it’s name alludes to. 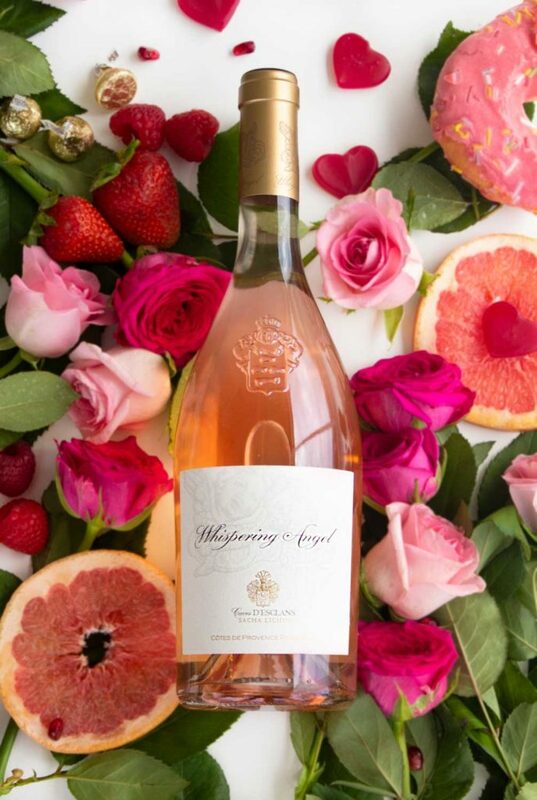 With an irresistible pale hue and a signature silken texture framing juicy strawberry notes and white floral aromas, this is a surefire way to impress. 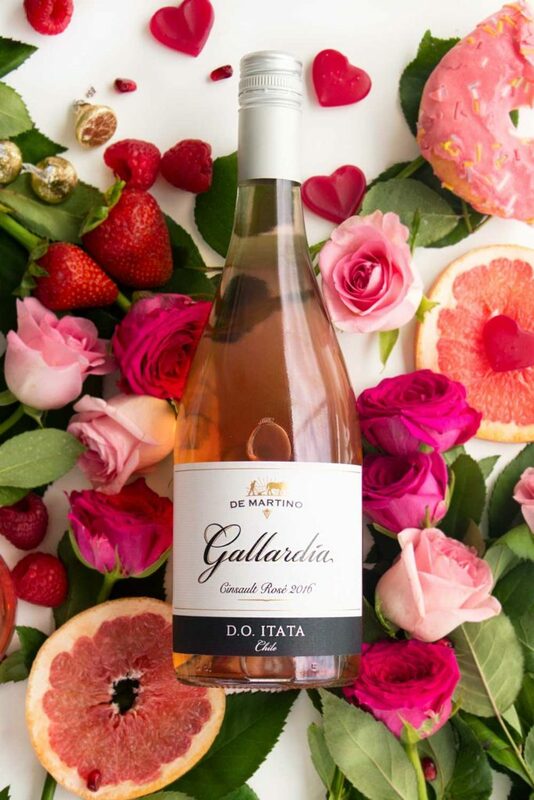 From the Itata Valley in Chile, the De Martino Gallardia Cinsault Rosé could not embody the spirit of Valentine’s Day more. ‘Gallardia’ literally means ‘gallantry’, or chivalry. A deep respect shown through warm, considerate and courteous actions. If there is any occasion to celebrate such a virtue is it not this one?! And from a region that has been cultivating grapes since 1551, De Martino have certainly had time to hone their craft and woo away the centuries. But Gallardia, or gallantry can also refer to courage and boldness and this other side of the linguistic coin is reflected in the wine itself. Powerful and full of spirit, this cinsault is full of character and intensity. Aromas of plum, and a dry refreshing palate with punches of cherry and strawberry. Be bold in the pursuit of love! 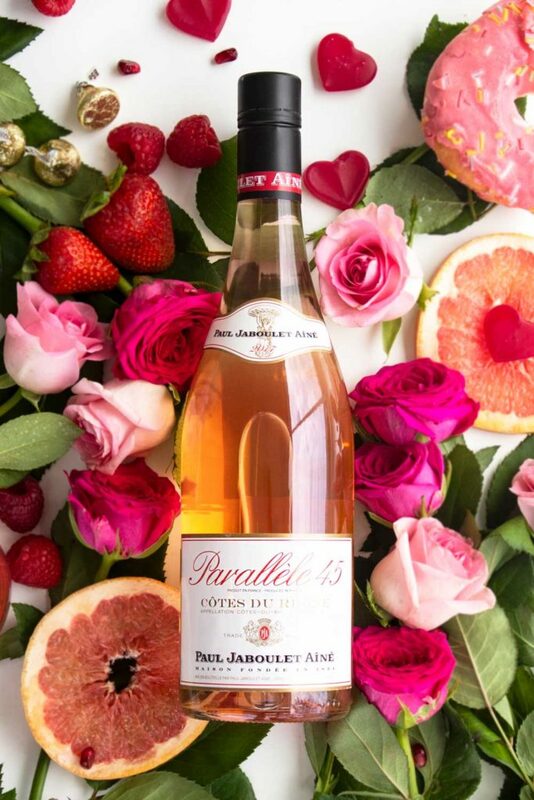 If you or your loved one prefers to walk a less conventional path, or even if you just aren’t the ultra-romantic types – this is the rosé for you! With a punchy name and even punchier vibe, there’s nothing frilly or fantastical about The Dancer Rosé. 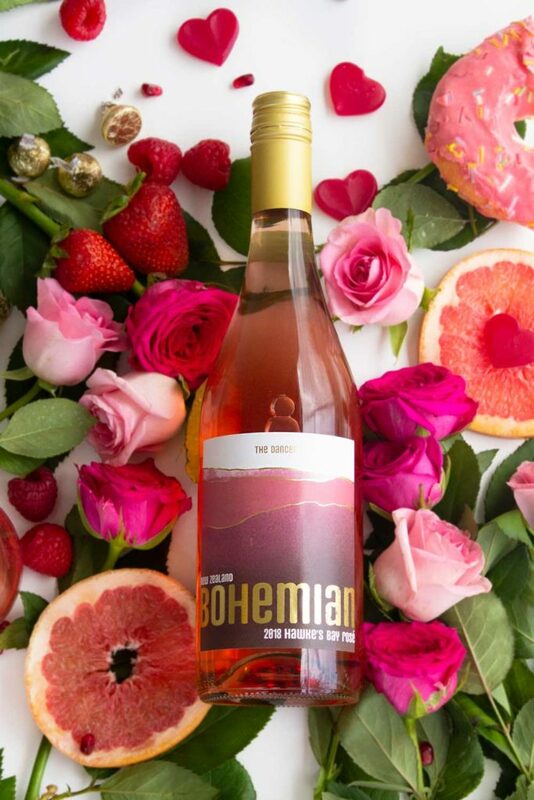 Bohemian Wines came to be when a collective of people in the wine industry decided to have a bit of fun and experiment a little to express themselves in the way they saw fit. The Dancer rosé hails from Hawke’s Bay, Aotearoa. It is youthful and vibrant with high toned floral and perfume notes. Well framed with a mineral, chalk texture and underscored with hints of preserved citrus. Elegant, nuanced, poised, and graceful. If a wine could wink, you know it would be the Bohemian. 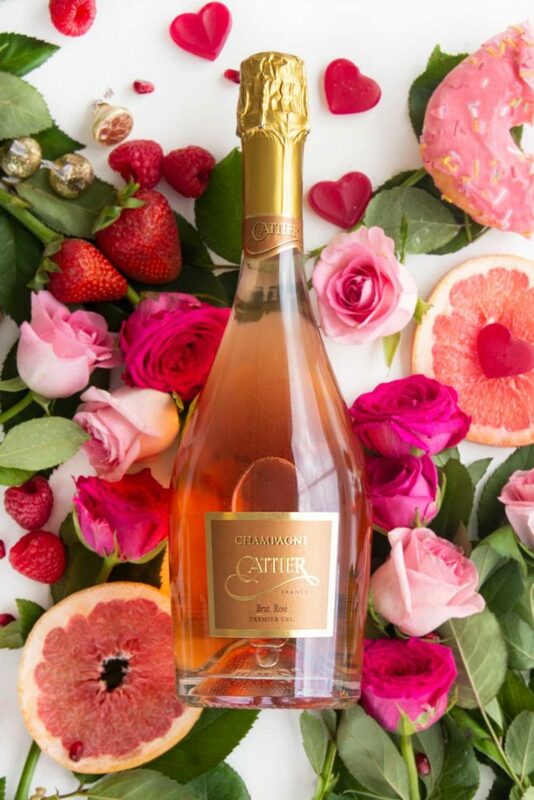 The most romantic and celebratory of all wines – Rosé Champagne. If ever there were a better marriage of styles than rosé and Champagne, we are yet to hear about it, and Cattier does it well. One of the key characteristics they aim to embody in their cuvées is generosity, and boy do they deliver. We can’t recommend enough that you share this sense of generosity with the one you adore the most. The Cattier Premier Cru Brut Rosé Champagne has so much to offer – the salmon-hued wine is fresh and full in the mouth with a beautiful vinosity and subtle notes of blackberries and a touch of liquorice. Does anyone do romance quite like the French? If this wine is anything to go by, then we know the answer. It is clear the winemaker at Paul Jaboulet Aine loves the land and loves the vines and anyone the world over gifted a bottle of wine from these famed hillsides is sure to feel that love in every sip of this organic, tasty tipple. Mineral-driven, and fresh with floral notes of wild berries, white pepper, and cherries. This exquisitely balanced rose is very much Provencal in style, and is the perfect accompaniment for whatever kitchen creation you’re cooking up this Valentine’s Day.